Paul McCartney has slowly been revealing a summer North American tour. Today, he’s announced another leg of that run, which includes a performance at the United Center on July 9. Tickets for the Chicago show go on sale to the general public next Monday (4/28) at 10AM CST, and an American Express presale begins this Thursday (4/24) at 10AM. 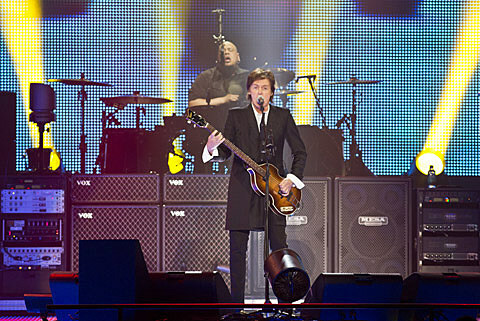 This will mark Paul’s first Chicago show since his 2011 appearance at Wrigley Field.